American Calligraphic is a calligraphic handwritten typeface created by Rob Leuschke and published by TypeSETit which was inspired by traditional calligraphic letterforms. It is a contemporary font ideal for any kind of projects such as editorial use, branding, romantic, wedding, invitation etc. Have fun! 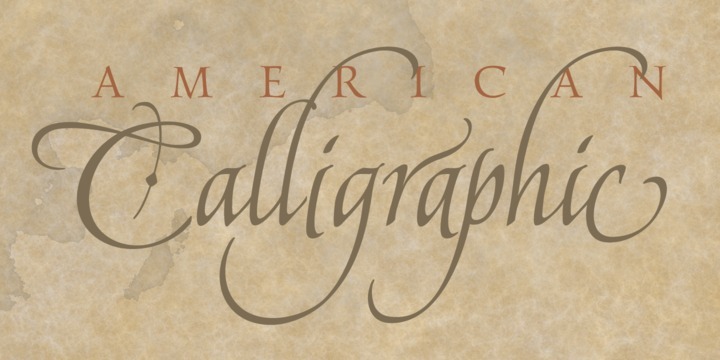 Note: “American Calligraphic” is a trademark of TypeSETit. Price: only $69,99 for all 6 fonts. A font description published on Monday, June 5th, 2017 in Fonts, Rob Leuschke, TypeSETit by Alexandra that has 3,754 views.